Nissan Note 1.5 DCI x 4. COMMON RAIL INJECTOR WASHER. TO FIT BOSCH COMMON RAIL INJECTORS. THICKNESS : 3.0 mm. Fits : NISSAN INTERSTAR 2.2 DCi. NISSAN INTERSTAR 2.5 DCi. COMMON RAIL INJECTOR WASHER. TO FIT BOSCH COMMON RAIL INJECTOR Bosch Part Number: 1 987 972 076. FOR NISSAN. 8200549058 / 8200936740. 0 445 110 102 / 0445110102. 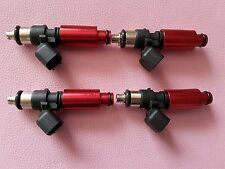 Renult -Vauxhall-Nissan 2.0M9R Common Rail Diesel Fuel Injectors 07-14 Onwards. Renult - Vauxhall - Nissan 2.0 M9R 16Valve Common Rail Diesel Fuel Injectors Complete Set 2007 - 2014 Onwards. We will keep a record of the injector numbers so if there is a problem we will require the injectors to be sent back. 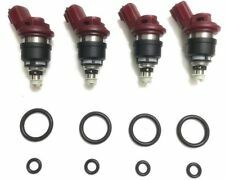 6 x Fuel Injector Connector Plugs – For Nissan Skyline R33 GTST RB25DET JECS Side Feed Injectors. 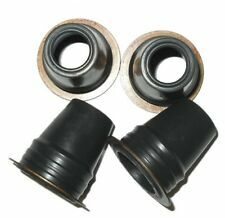 These plugs will fit all Nissan JECS side feed injectors, including the ones found on RB25 and SR20 engines. PRIMASTAR - INTERSTAR. ELECTRIC INJECTOR CONNECTOR x 4. KIT INCLUDES: 4 X INJECTOR CONNECTOR ( wired ). COMPLETE INJECTOR PLUG KIT. BOSCH COMMON RAIL DIESEL. This connector is to suit ALL Bosch Common Rail Injectors starting with the part number. Nissan Diesel Injector Oil Seal - 13276BN30A 1 Supplied . Genuine new and sealed Nissan part from Main Dealer - fits a range of Nissan diesel models - may have the odd very small mark etc from storage / handling at the dealer - supplied exactly as shown . Reconditioned Bosch Diesel Injection Pump 0470504033. NISSAN NAVARA 2.5 DI. Model: NAVARA. Engine: 2.5 DI. We specialize in the repair of electronic fuel injection pump. Make of vehicle : NISSAN. - For each pump, we attached a written 1-year of warranty with unlimited miles. Complete kit to rebuild your RB26DETT injectors. This kit is only suitable for standard RB26DETT top feed injectors. 6 x Fuel Rail Spacers. 6 x Upper O-rings. Fuel rail with -8AN ORB port. Fuel rail set up for 14mm injectors. 1PCS Fuel rail. 2pcs AN8 Male to AN8 Cut O-ring adapters. Material: 6061-T6 aluminum alloy. Color: Black. We will do our best to solve it and satisfy you. Blue Print Injector Nissan Navara 4WD Pathfinder 4WD OE Quality ADN12808 - Free Delivery from Simply Car Parts - Brand New BluePrint part - 3 Years Manufacturers Warranty. Fuel rail with -8AN ORB port. Fuel rail set up for 14mm injectors. 1PCS Fuel rail. 2pcs AN8 Male to AN8 Cut O-ring adapters. Material: 6061-T6 aluminum alloy. Color: BLACK. We will do our best to solve your problem as soon as possible. 1 Injector. Add Us To Your favorites list ! FAILURE TO PROVIDE INFORMATION WILL DELAY YOUR ORDER. Nissan Interstar dCi 90. Genuine Bosch Diesel Injector Washers x 10. FOR COMMON RAIL DIESEL INJECTORS. Newly Listed. View Our Categories. Fuel rail with -8AN ORB port. Fuel rail set up for 14mm injectors. 1PCS Fuel rail. Material:6061-T6 aluminum alloy. 2pcs AN8 Male to AN8 Cut O-ring adapters. We will do our best to solve your problem as soon as possible. Blue Print Injector Nissan Navara 4WD Pathfinder 4WD OE Quality ADN12809 - Free Delivery from Simply Car Parts - Brand New BluePrint part - 3 Years Manufacturers Warranty. Application: Nissan Micra 1.5 DCI. To suit injector number: EJBR01801D - EJBR02101D - EJBR03101D. All our parts are id stamped before we send them. We will always attempt to rectify the issue as fast as possible! We just want you and your car to be happy! NISSAN 8200567290. You'll have the part ASAP. Eg, Vetech, Erst Klassig, Franzen, NK, etc. · Offset Inlet easily to install. · For gasoline vehicles (pump life may be diminished when used with E85 fuel). · Composite TurbineImpeller design brings quiet operation. · Inlet Fitting: 7.7mm ID, 11.0mm OD. Intake manifold plenum camber, has after market air temp sensor mount, likely for an auxiliary gauge. Taken a Nissan Skyline GTR. To fit all RB26 engines. Used item in good condition. We have two for sale, one bare and one black. This kit is only suitable for standard R33 GTST RB25 JECS side feed injectors. Complete kit to rebuild your RB25 injectors. 6 x Upper O-rings. 6 x Spacers. Intake manifold injection sandwich plate, complete with cold start valve, top and bottom vacuum balance bars etc. Taken a Nissan Skyline R33 GTR. used item in good condition. All our parts are carefully removed from working vehicles by our highly trained specialist technicians. Good used set of injector pipes removed from a xtrail 2004 2.2 td sport. Fuel Type::Diesel. We just want you and your car to be happy! You'll have the part ASAP. We will always attempt to rectify the issue as fast as possible! Eg, Vetech, Erst Klassig, Franzen, NK, etc. Nissan Navara 2.5 Diesel Fuel Injectors Denso 095000-6250R - Removed from working vehicle. 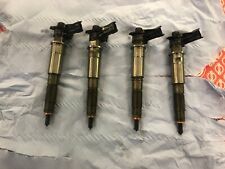 Other Details: Mk1 (J10) 1.5 Diesel, Code K9K DCi 06-13 set of 4 fuel injectors 1.5 refurbished tested part numbers 0445110414 h8201055367. NISSAN QASHQAI Fuel Injector 0000364754. This item was removed from a 2013 vehicle. Injector fits NISSAN JUKE Hatchback - 10> - ADN12802. INJECTOR COMMON RAIL. NISSAN PART NUMBER 17520-AW421 (DENSO 0401 10L 00012). Manufacturer Part Number(s) 175215346R / H8201157327 / 132951856. Nissan NV200 2009- 2018 1.5DCi 90Bhp. Model NV200 ACENTA. Diesel Fuel Rail. Product Diesel Fuel Rail. Genuine Nissan Part. Manufacturer Nissan. NISSAN QASHQAI 2009 2.0 DCI DIESEL. INJECTOR PIPES. You are signing to say you have received the item(s) in good condition. Part No : N/A. (INTERNAL OFFICE USE ONLY - ID.856 ). ✔︎ QUALITY PRODUCTS AT REASONABLE PRICE. ⚑︎ NEWEST PRODUCTS. ☏ 01970 820 103. Fuel rail with -8AN ORB port. Fuel rail set up for 14mm injectors. 1PCS Fuel rail. Material:6061-T6 aluminum alloy. Color: RED. 2pcs AN8 Male to AN8 Cut O-ring adapters. We will do our best to solve your problem as soon as possible. Nissan Cabstar F24_ / 2006 - / 2013 Diesel: 2.5. Nissan Navara D40 / 2006 - / 2009 Diesel: 2.5 dCi. Nissan Navara D40 / 2008 - / 2009 Diesel: 2.5 dCi. Nissan Navara D40 / 2006 - / 2016 Diesel: 2.5 dCi. Injector fits NISSAN NOTE MPV - 05>12 - ADN12804. Complete kit to rebuild your VR38DETT injectors. This kit is only suitable for standard R35 GTR top feed injectors. 6 x Upper O-rings. Injector fits NISSAN NV200 / EVALIA Bus - 10> - ADN12807. ENGINE TYPE 2.2 DCI. DIESEL INJECTOR PUMP. Our site is spread over 5 acres consisting of a reception area, two large storage buildings, de-pollutions bay, vehicle racking facility, in house crushing/bailing zone. For Nissan Note 1.5DT 2006-2013 BLUEPRINT Injector NEW. 1 Injector. Add Us To Your favorites list ! FAILURE TO PROVIDE INFORMATION WILL DELAY YOUR ORDER. This kit is only suitable for standard R34 GTT NEO top feed injectors. Complete kit to rebuild your RB25DET NEO injectors. 6 x Upper O-rings.